Beautiful composition, my friend. So lovely colour and excellent light. Wow! this is amazing!!!!! the drop is awesome!!!! Exellent! 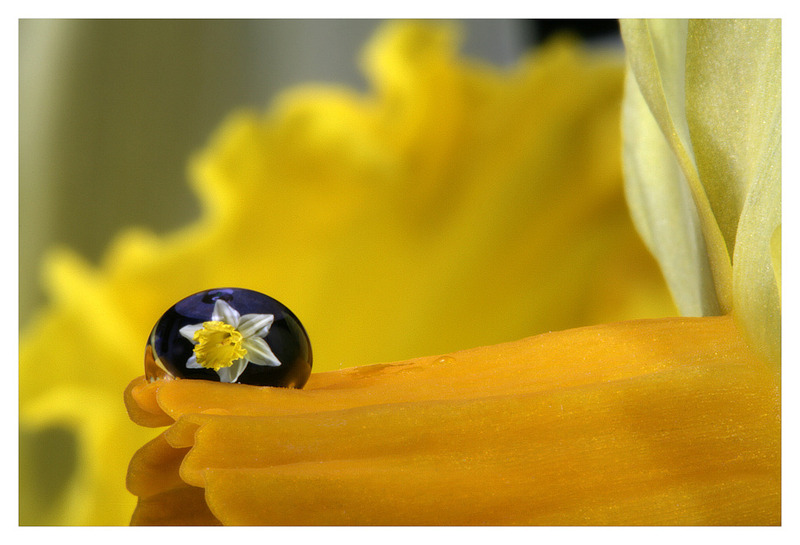 The drop which is as a mirrow for the Narcissus ( not only for the lent lily )... Something absolutly unusual and beautiful. Hallo Uwe! what a beautiful reflected in the drops. Very nice. W.r.
Koennten Sie mir sagen, welches Objektiv Sie benutzt haben? beautiful colors and fantastic effects!